In order to access this functionality, you need to log in with the credentials that are provided to you via a notification email upon purchasing a Listing Package from WorldBuild365. 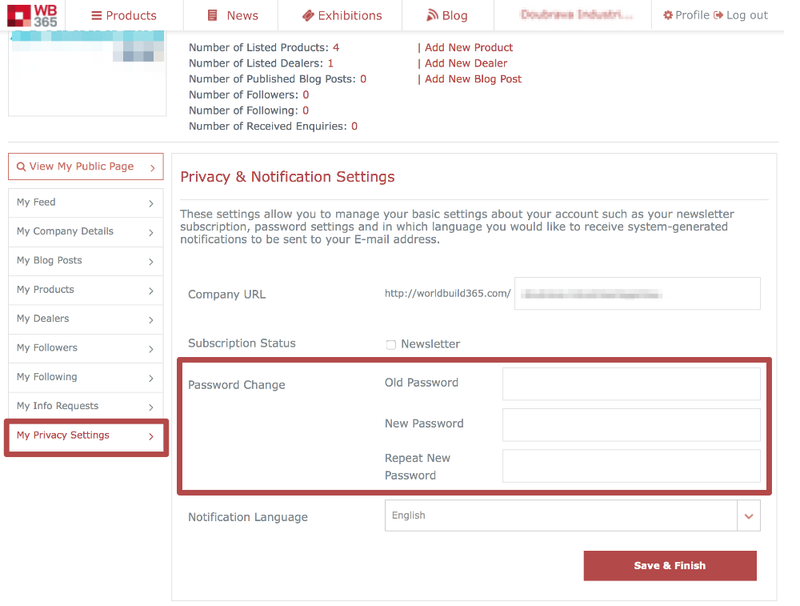 Once logged in as a company, click on the "My Privacy Settings" from the left menu navigation and refer to the highlighted fields to change your password. In order for the changes to take effect, don't forget to hit the "Save & Finish" at the bottom right section of the page.